Welsh online services have proved popular, partly helped by the addition of S4C on to the iPlayer, according to data released by the BBC this week. 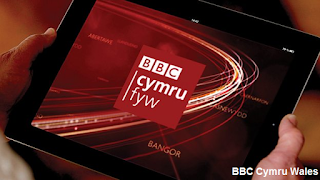 New online offering Cymru Fyw has tripled BBC Cymru Wales’ Welsh-language digital user base since launching exactly a year ago. Over the same period, BBC Radio Cymru podcasts have seen a boom in popularity. Radio Cymru has also seen a sharp rise in the popularity of its podcasts over the past year, encouraged by the station’s growing offering. More than 35,000 podcasts were downloaded from the station in February, reaching an all-time high in March with 46,749. The top three podcasts are Beti a’i Phobol, Pigion (highlights for Welsh learners) and Stori Tic Toc - a bedtime story for children broadcast every Sunday night at 7pm. Alongside these increases, the introduction of S4C as a channel onto BBC iPlayer last year has led to an average of 110,000 weekly viewing sessions to the service so far in 2015.